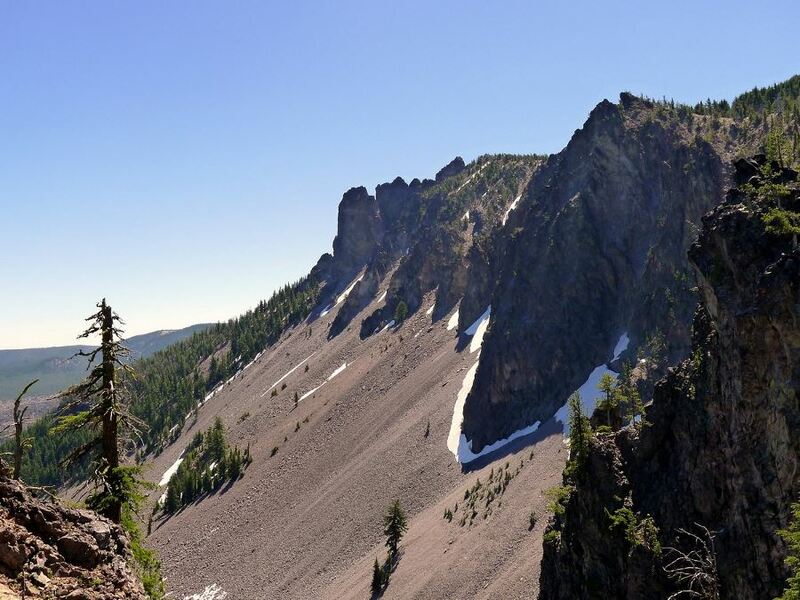 The gradual hike to the gorgeous Paulina Peak is a top trek near Bend. The views from the top of this hike are stunning, and, as you walk to those views, you’re surrounded by beautiful Rocky Mountain flora. Head south from Bend along US-97 for 37.0km. Turn left onto Paulina-East Road. Follow this road almost until it ends and enters the national monument through the gate. 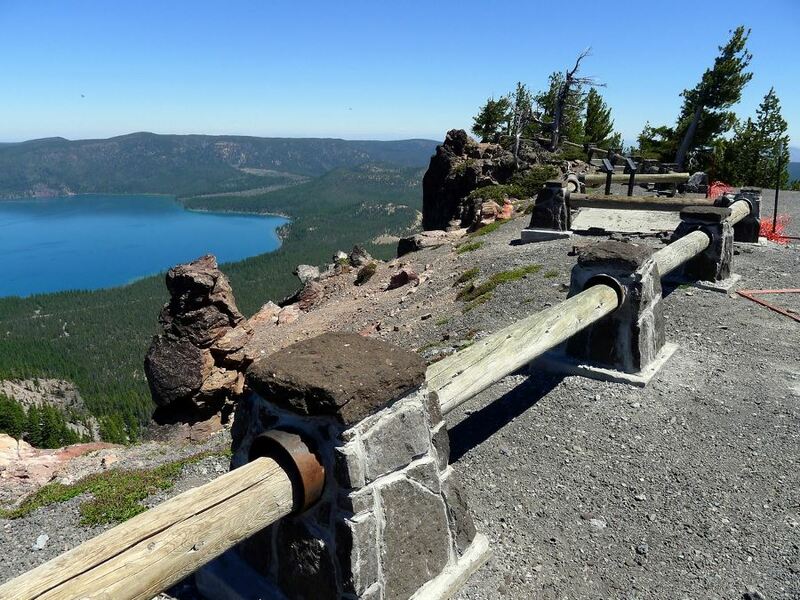 Turn left into the parking lot for boaters at Paulina Lake Campground, opposite the highway from the visitor center. Find the trailhead to the right of the visitor center. 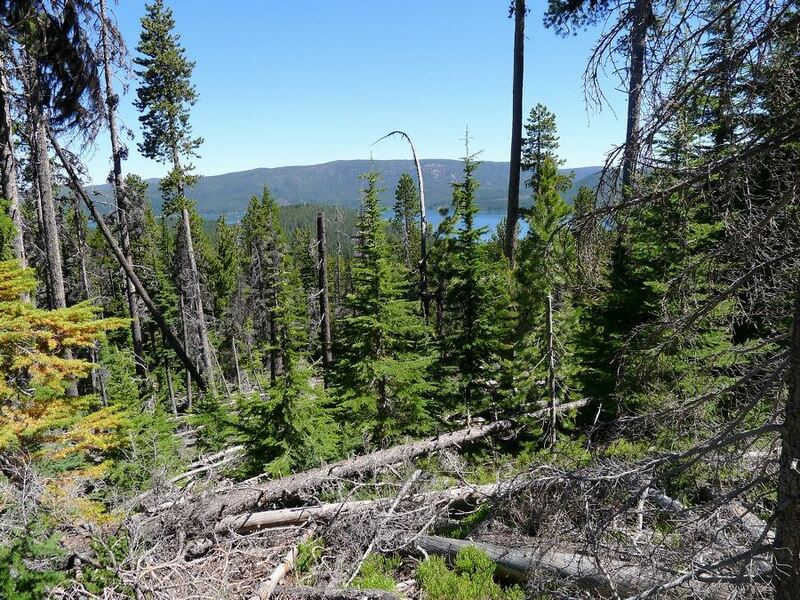 Once you start hiking you will enter a stunning forest, where the path will continue without gaining a significant amount of elevation for the first mile or so. The real climbing begins after you cross over the road, which goes to the summit. The trail will get steeper and there are switchbacks. After more climbing you will reach the first outlook of the hike where there are fantastic views of the craggy side of the summit. As you continue climbing, the number of switchbacks will increase. You will enter a sparsely forested section reminiscent of the high alpine glades of Jasper National Park in the Canadian Rockies. 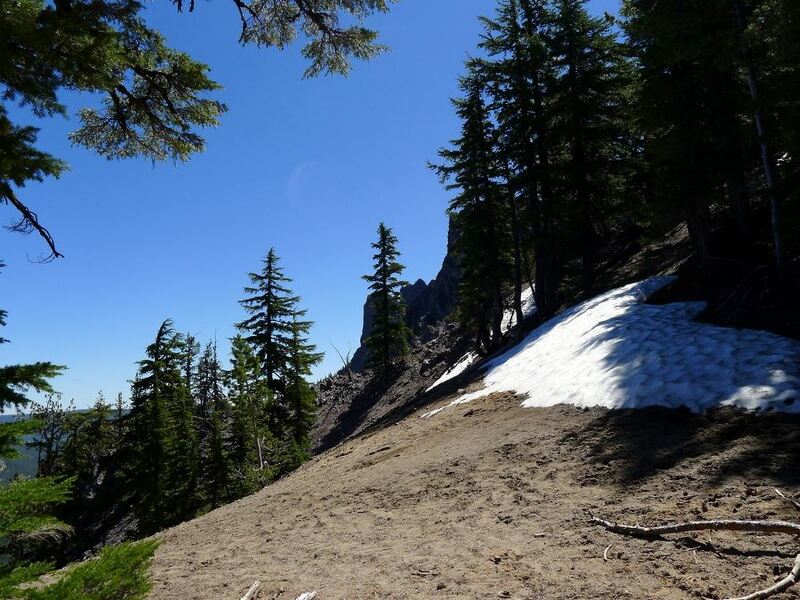 Finally, you will crest a ridge and enter the subalpine bowl that surrounds the summit. When we completed the hike in late June after a large snowfall we encountered snow here, so be warned. Our group ended up bushwhacking the last mile or so up to the summit, visible across the bowl. Hence the map’s track may be slightly off. 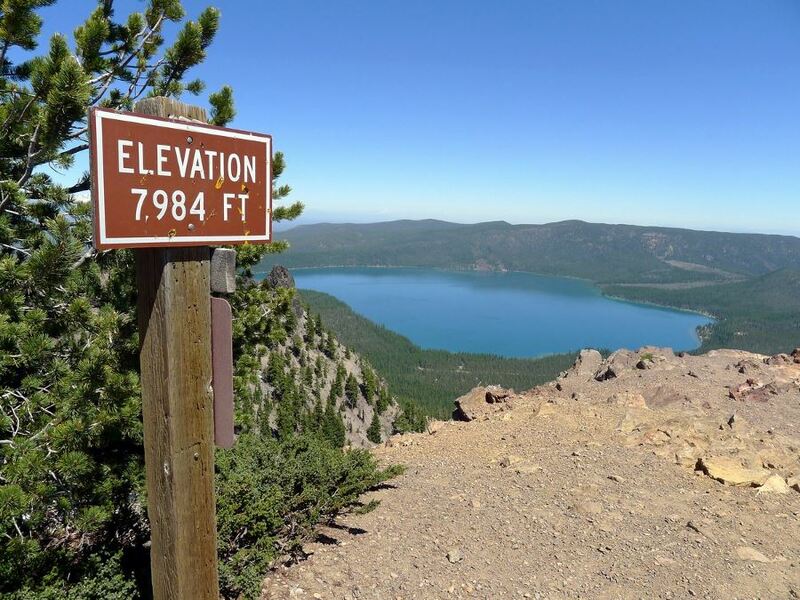 Summiting Paulina Peak is slightly anticlimactic since you can drive up during the summer. However the emotional reward of knowing that you earned the summit is good enough for most people! 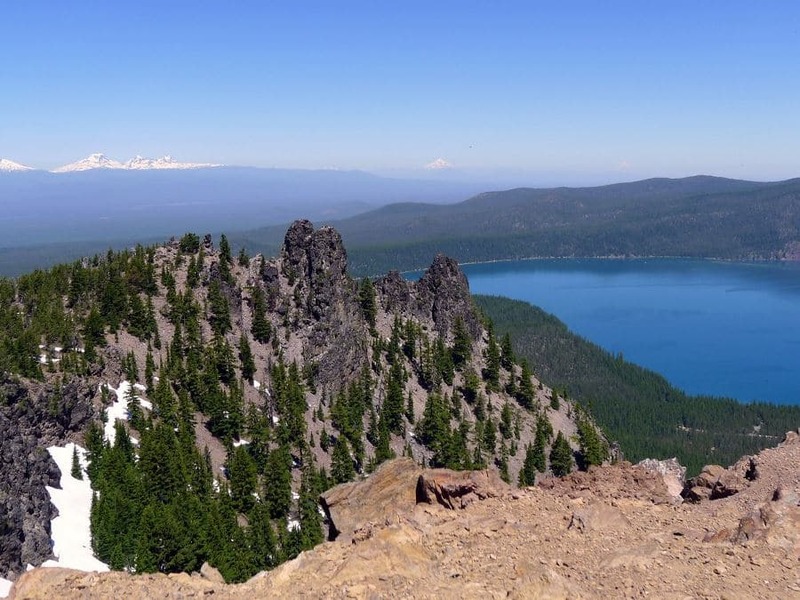 From the top you will be able to see Broken Top and the Three Sisters, as well as Jefferson Peak and Mt. Hood in the far distance. If you complete this hike early in the season the road will be closed, which means a longer hike, but you will have the summit all to yourself. When the road is open you can skip the first mile of the hike by driving to its intersection with the hiking trail. If you want to drive to the top, the road to the top starts past the visitor center. You have to pay to enter the National Monument unless you have an annual park pass.